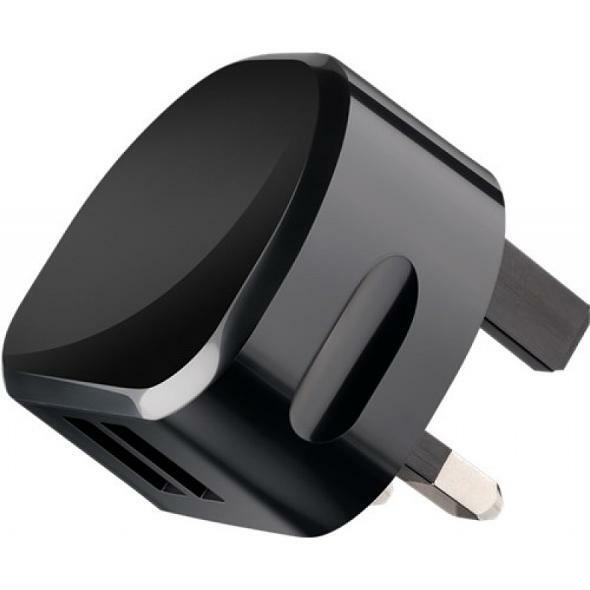 Dual USB Charger chargers up to 2 tablets/ smartphonesat the outlet.. Integrated charge controller for optimal charging current. Charges up to two USB devices simultaneously. Suitable for tablets, smartphones, cameras, and other devices with 2.4A.